Trellis can be used for a wide variety of applications, it can enhance the look of a garden fence or brick wall, it can also be used to provide privacy without sacrificing natural light and can be also used around decking as panels or even used as fence panels. Trellis is also ideal for use as a frame for climbing plants. 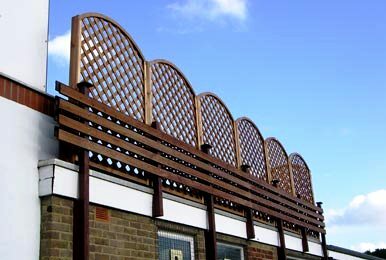 We offer a full design, supply and installation service on all types of trellis available in either soft wood or hard wood.